Mobility Direct North don’t just want to make sure that you’re protected, we also want to make sure that you’re comfortable. Our incontinence range has been developed to provide you with complete ease of mind. We want to make sure that people with active lifestyles are covered throughout their day, our range protects users with light to severe incontinence. Developed for sensitive skin to provide extra protection, and care for incontinence treatment and can be used by both individuals and carers. We offer a range of two systems cleansing and care. Cleansing – Used for daily washing and showering, which can be applied direct to the skin with no water needed, and can be used regularly for maximum skin protection and freshness. Skin Care – Used to moisturise, soothe and calm sensitive skin, and can be used to alleviate red, dry or irritated skin. Designed for the protection of beds, mattresses, chairs and wheelchairs. Containing breathable waterproof backing, super absorbent polymer, odour control properties and no latex. Flex-Air Comfort – Designed for heavy/severe cases of incontinence. The soft breathable textile back-sheet allows the product to breathe, promoting the health of the skin, yet gives reliable protection against leakage. The odour protection core gives that extra bit of protection. Incontinence Slips – Designed to manage heavy/severe urinary and/or faecal incontinence. Incontinence slips have leakage barriers for extra side protection and printed size number on the back for easy recognition. Adjustable – Comprises of ultra-modern materials in a discrete design. The tape provides a secure fixation when closed, but can be opened and readjusted when needed. With soft wings made of an elastic material, they adapt themselves smoothly to the user’s body, ensuring a close and discreet fit. Contours – Range of body shaped pads with a poly back sheet, designed to manage moderate to incontinence. The pad has an absorbent core to help reduce the risk of leakage, provide odour protection and skin dryness. 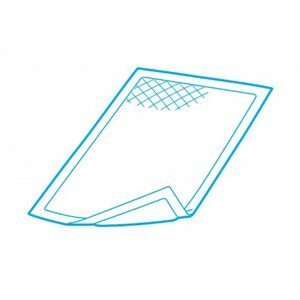 Rectangular Pads – Are a range of pads suited to meet the user’s needs. 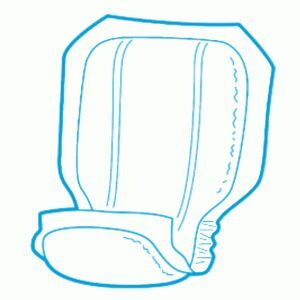 The pads can be used with a washable pouch pant or as a booster pads for additional absorbency or faecal smearing. 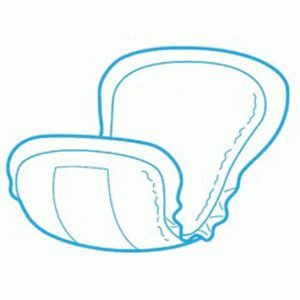 All products have a nonwoven back sheet which allows liquid to pass through the core quick to the primary pad if the product is used as a booster pad. 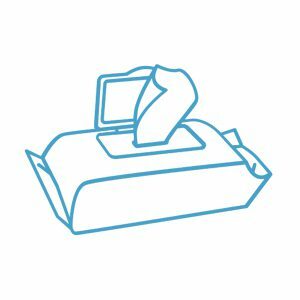 Soft – Soft pads are significantly smaller than traditional incontinence products, easier to fit and apply more discreet for the user and most of all drier and more comfortable. 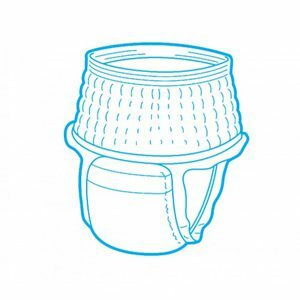 Discreet – A range of small anatomically shaped incontinence pads designed to provide protection in cases of very light to moderate bladder weakness. All products have a special odour protection core that protects against unpleasant odours. Pull-Ons – Incontinence pants range are absorbent and stretchy that look and feel like your own underwear. The flexible fit and breathable back sheet helps promote skin health and provides improved comfort, increasing the feeling of freedom for the wearer. Stretch Pants – Specially designed to be used in combination with the incontinence pads as a two piece fixation system. The combination of the two ensure a close and comfortable fit, which guarantees a quick absorption and prevents any leakage. To view our incontinence range pop into Mobility Direct North’s store and see for yourself! If you can’t find what you’re looking for speak to one of our experts who would be happy to help you. If you like to get in touch with us, please call us on 0191 285 4245.